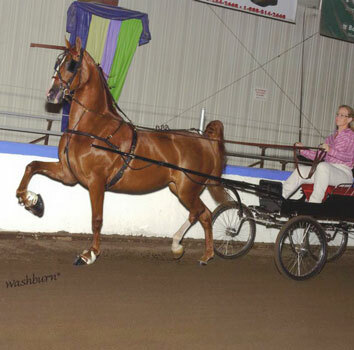 2003 Winsdown New Fostoria- (Chestnut Filly by Winsdown Celebration) 2003 Reserve Champion Weanling Filly Texas Futurity, Oklahoma Futurity reserve Grand Champion and Amateur Weanling Champion. 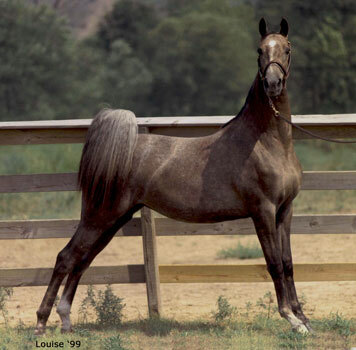 2004 Colorado Futurity Yearling Grand Champion and Oklahoma Futurity Yearling Filly Champion. 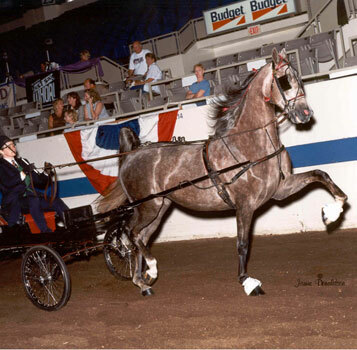 2005 Colorado Futurity 2 Year Old Fine Harness and In Hand Champion, Iowa Futurity 2 Year Old Fine Harness Champion, Texas futurity 2 Year Old Fine Harness Champion and Oklahoma Futurity 2 Year Old Fine Harness and In Hand Champion.